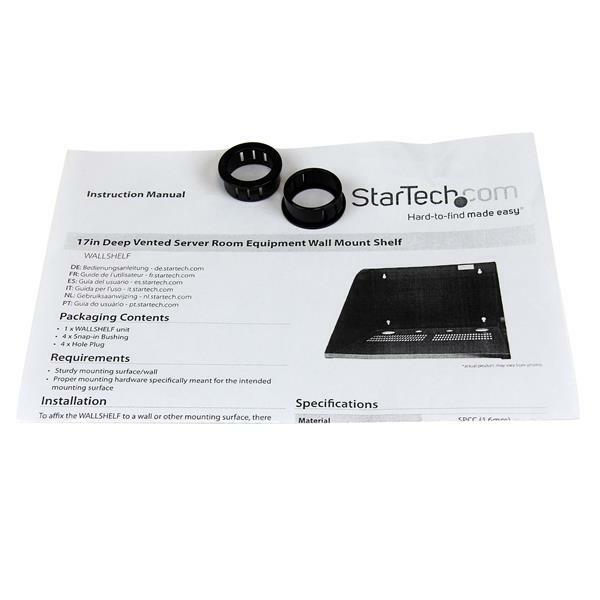 The WALLSHELF 17in Deep Vented Equipment Wall Mount Equipment Shelf provides an inexpensive and durable solution for wall mounting any non rackmount equipment in your server room. 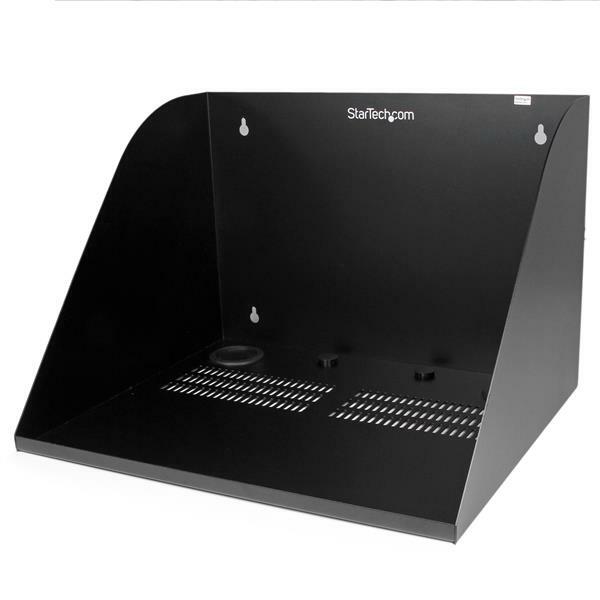 An industrial-grade solution, the wall mountable shelf features a solid steel design with 16in spaced mounting holes (for standard wall studs), and supports a total weight capacity of up to 200 lbs (91 kg). 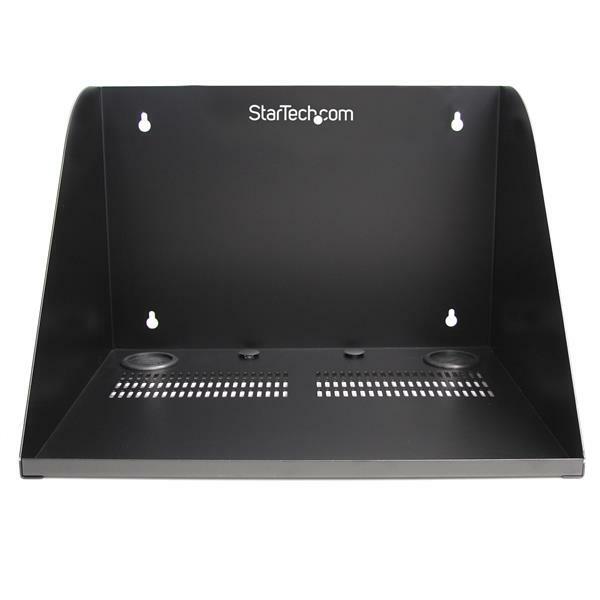 For simple cable management, the shelf includes four pre-cut cabling holes with grommets, allowing you to easily route network, power, display or other cabling as needed.